Several explanations might account for this cat having its back up, but I chose to believe it was because he didn't like being caged at a cat show, and that's the story I wanted the photograph to tell. 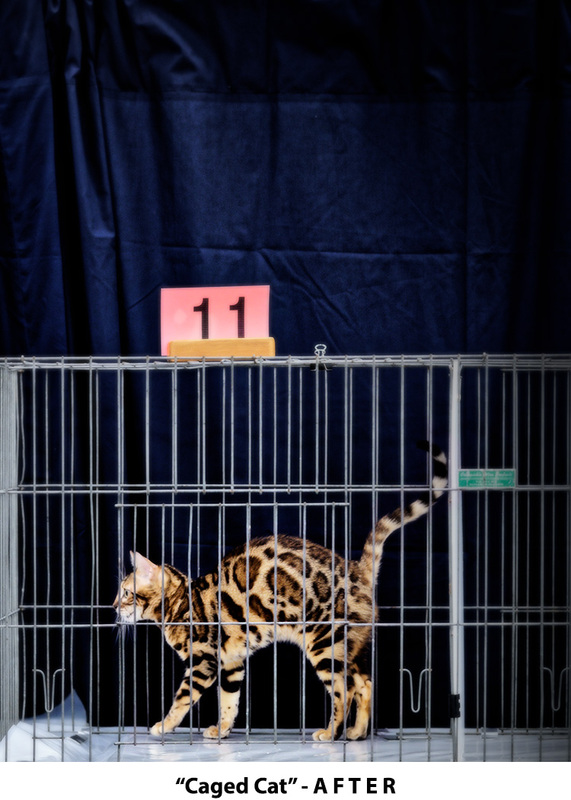 On the one had you have the natural, elegant lines of the cat and its beautifully patterned soft fur. On the other hand, you have a harsh, man-made environment quickly assembled to confine and display the cat: the harsh, cold structure of the cage, the white plastic cage liner, the number card, the flimsy blue backdrop. 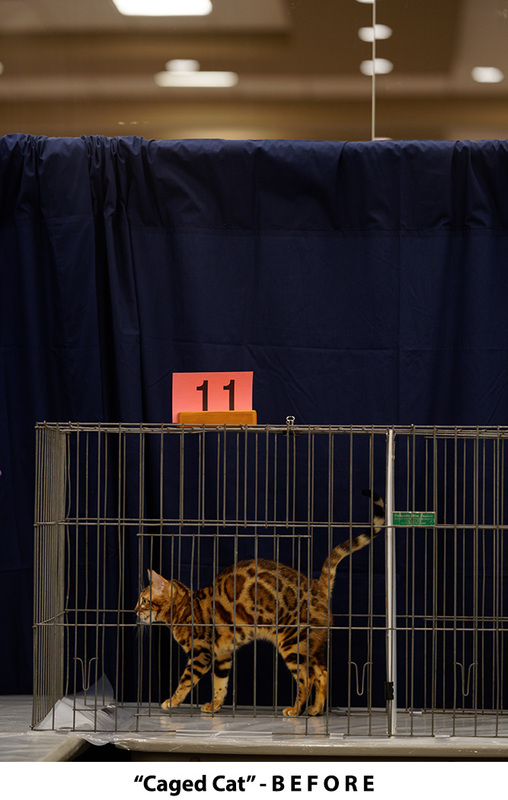 On show for humans, the cat looks alone and vulnerable. There's an uncomfortable tension here and I want the photograph to accentuate it. I made the bars of the cage more prominent through exposure and tone curve adjustments. I added vignetting - centered on the cat's face - to make it look as though a spotlight was being shone on the cat. I complemented this by blurring the image around the cat while keeping the cat in focus. I made tone curve adjustments to the cat to brighten it and heighten contrast, and color balance adjustments to more sharply delineate the spotted and smooth areas of its fur. The overall effect is of an animal "caught in the headlights" - uncomfortable, afraid, out of its element.